Dog Fouling – can you help………………………? 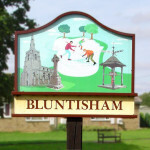 Bluntisham Parish Council are keen to help keep our footpaths and grass areas clear and free of dog mess, however, we can’t do this alone. We are looking for 4 volunteers who regularly walk the village footpaths, who would be willing to pick up any mess, spray the area with water based fluorescent paint, and log the date, time and location of the mess. This information will then be logged on a map and shared. Other villages have found this approach to be very successful and Huntingdonshire District Council Dog Warden supports this idea. If you are willing to help then please contact Mrs Philippa Hope, and collect your can of paint. The painting can begin as soon as possible and we are hopeful that the scheme will be a success. We will report the success and hot spot areas asap.